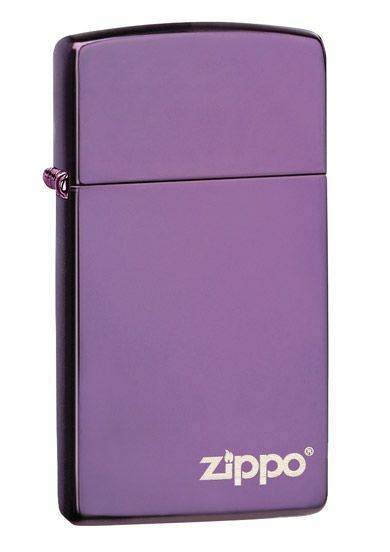 A slim abyss purple Zippo lighter with the Zippo logo. The slim Zippo lighters are narrower than the standard sized Zippo lighters. Part of the 2011-2012 Choice Anniversary Collection.